The benefits of wearing contact lenses are many. For many of you, they will make you look and feel better. At Optical ETC, all of our Licensed Opticians are Board certified by the National Contact Lens Examiners. They are trained to fit, fill, and adapt your prescription to fit your eyes. 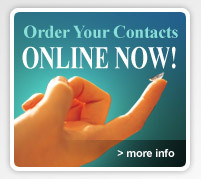 We are an authorized distributor of all of the contact lens manufacturers and more.